Do you know how different plastic chairs are made? Or Have you ever thought about how complex plastic parts are ever made? I am sure that most of you guys not thought too much about the above questions. A simple manufacturing process is used for mass production of the chairs and this process is nothing but the plastic injection moulding. In the Plastic Injection Moulding, the heated molten plastic is injected into the mould from which the part has to be made. After the cooling, this molten plastic will get solidified. So, after the solidification, the given part is ejected and thus the given process finishes. 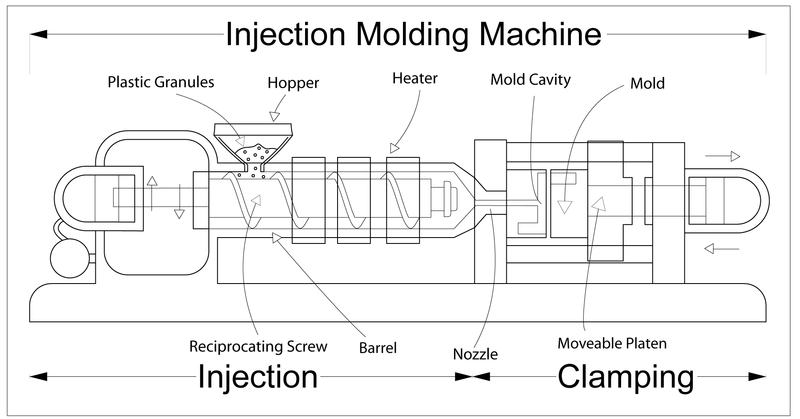 The concept behind the plastic injection moulding process is very simple but in reality, it is very intricate and complex method. This process is done with the help of the injector molding machine. 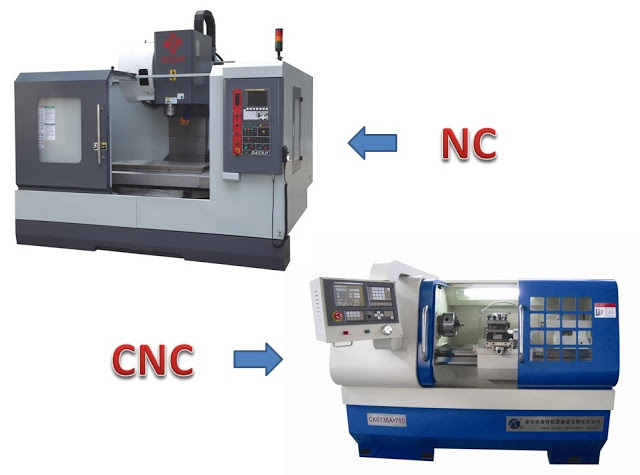 This injector molding machine consists of the three main parts, injection unit, mould and clamp. If you consider the thermosets then, it is very difficult to re-soften them. So, thermosets are used in a very smaller number of times. Now, let us talk about the thermoplastics. Well, thermoplastics can be heated again even though they get solidified. Hence, in this manufacturing process, mostly thermoplastics are used. Injection of the molten plastic into the mould. Ejection of the given plastic part that is formed from the mould. The plastic injection welding consists of the mold, reciprocating screw, molder, etc. As previously stated, the injection unit consists of the hopper, reciprocating screw and the molten plastic. In the hopper of the injection unit, plastic which is in the form of the pellets or granules is first poured. 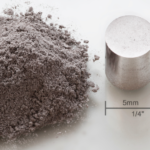 The plastic pellet is in the size of few diameters large. As soon as the plastic is poured, the reciprocating screw starts its motion. Now, the plastic gets heated as it is between the screw and the walls of the barrel. 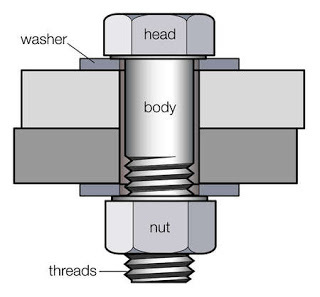 The reciprocating screw is kept inside the barrel. Heater bands are situated on the walls of the barrel which also helps to melt the plastic. After the melting of the plastic, the moving screw pushes the molten plastic through a nozzle. This molten plastic is then directed to the mold cavity. 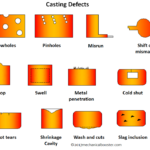 The temperature of the molten plastic upon entering the mold cavity is maintained in the range of the 320 to 600ºC. Within a few minutes, the molten metal solidifies and the mold pushes the plastic part away from it. Sometimes it is very difficult to remove the molten plastic part which is attached to the mold. In those, situation built-in injector pins are used to remove this plastic part from the mold. Thus, the required material is formed with the help of the Plastic Injection moulding. Below video will convey you the complete process of the plastic injection molding with the help of the animation. So, watch it carefully! The mold that you use in this process determines the shape of the resultant part. 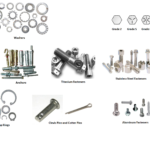 Molds are made up of material like stainless steel, aluminium, brass, beryllium copper and Kirksite. These molds are made with the help of the machining, casting, etc. How to Accelerate the Process ? Plastic Injection Moulding involves many machineries as well as a lot of time is required to set up this process. In this process, we have to consider three important factors to increase the speed of the plastic injection moulding: injection time, cooling time and changeover time. All of these three plays a crucial role during the process. Among these three, cooling time and injection time matters most. You can enhance the speed of doing the plastic injection moulding by decreasing its cooling as well as injection time. However, it may seem very easy, to decrease the injection time and cooling time, but in the practical situation, it is very difficult. Supreme Accuracy: Plastic Injection Moulding is considered as one of the most accurate manufacturing processes to create the plastic parts. 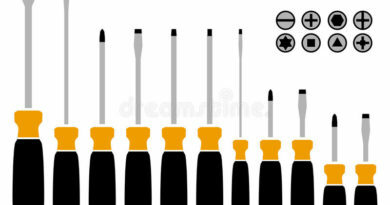 You will get the most precise parts as a result of this method. 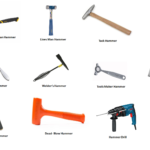 Due to greater accuracy, it is able to design any type of the plastic part. It’s superfast: Unlike other plastic manufacturing processes, this is quite fast and can be done in a few minutes. Along with the blazing speed, it gives the clear finishing of the surfaces. Low labor cost: Another important benefit of the plastic injection moulding is that it requires absolutely no labor work. Even though you require any type of labor work then, there also there are no much technical skills are required. It can be a total automatic process where you have to just put the plastic pellets in the hopper of the injection unit. As no special operating skills are required, this process is the profitable and reduces the labor cost. 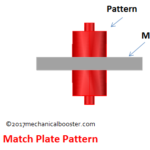 Efficient for making the high-strength parts: In some industries, there is a need of the high strength plastic parts and this injection technique is perfect for creating such high strength parts. It is the best for mass manufacturing of a plastic part in a very small amount of time as well as money. More flexible:With the help of this moulding process, you can easily manufacture any type of the plastic material so it is very flexible. You can manufacture more than 2 parts at the same time. The only disadvantage of this technique is that it requires a large number of machineries which require a big amount of capital. So, small business owner may have to outsource their work for doing this moulding process. This process is used in the production of plastic chairs, backpack buckles, car parts. This process is significantly used in the manufacturing of the various devices in the medical industry such as heart pumps, blood sugar monitors, skeletal braces, etc. The bottom line is that more than 30% of the plastic parts in the automobile industry are fabricated with the help of the plastic injection moulding and it is widely used. It has many benefits along with the few drawbacks. Hope you like this article and if you really liked it then take a minute to share it! Note: Here Mould or Mold convey the same meaning. ← What is Electrochemical Deburring?